Cedar Rapids, IA, November 20, 2018 – Iowa is facing a workforce shortage. In October 2018, the seasonally adjusted unemployment rate dropped to 2.4 percent; there are only 41,200 unemployed Iowans. The Corridor is no exception to this shortage. The Regional Vision, developed by the East Central Iowa Council of Governments (ECICOG) and other stakeholders, placed the Corridor’s workforce woes front and center: aging workforce (weakness), inclusion of race/culture (weakness), attracting young talent (weakness), competition within the global economy (threat), workforce retirement (threat), and losing young professionals (threat). DeltaV Code School was created to address part of this workforce shortage: the lack of available tech talent in Iowa. There are more than 4,400 open computing jobs in Iowa, but Iowa’s universities only had 364 computer science graduates in 2015. To fill the open computing jobs in Iowa alone, more than 10 percent of unemployed Iowans would need to be trained today. After two years, DeltaV Code School is making a small dent in Iowa’s tech talent shortage. 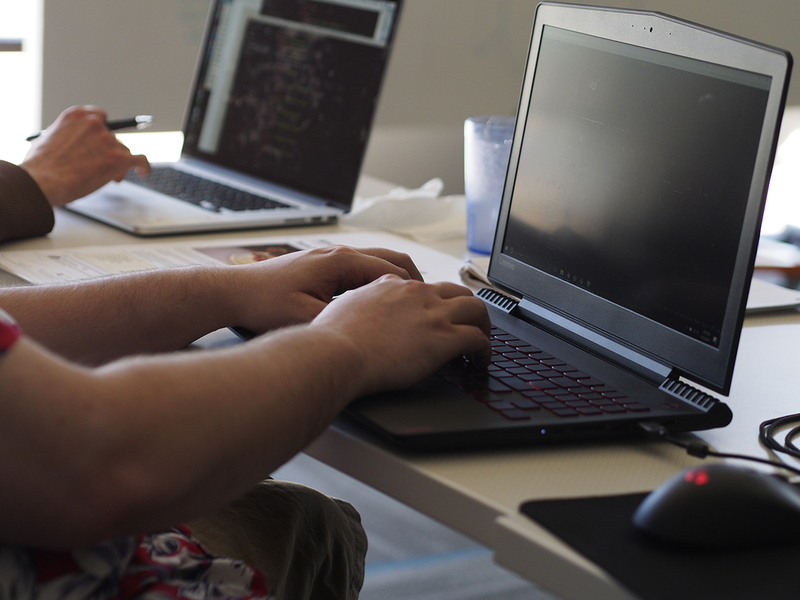 With a new batch of graduates and software developer apprentices in the workforce, DeltaV wants to make it more accessible for adult career switchers to learn how to code. In 2019, DeltaV Code School has plans for new financing options, including being GI Bill eligible, offering income sharing agreements, creating a Quality Pre-Apprenticeship Program, and increasing its diversity tuition awards. While DeltaV already offers a 20 percent discount for veterans and recent college graduates, with GI Bill eligibility, qualifying veterans could have up to 100 percent of their tuition covered. DeltaV is also launching an income sharing agreement option in 2019 for select students. This will allow students to pay for their tuition from a percentage of their future income over a fixed time. Traditional student loans will continue to be available in 2019 as well. NewBoCo, the parent nonprofit of DeltaV Code School, created Eastern Iowa’s first US Department of Labor Registered Apprenticeship for Software Developers in 2018. For 2019, NewBoCo will be working with IowaWORKS to create a Quality Pre-Apprenticeship Program for students interested in Apprenticeships. For any company interested in hiring a Software Developer Apprentice, NewBoCo is also able to sponsor that Apprenticeship. The diversity tuition award fund was set up last year to make it easier for women, U.S. military veterans, low income, and populations underrepresented in technology (African American, Hispanic, and Native American, including Alaskan and Hawaiian, and people with disabilities) to start a new career in coding. DeltaV Code School encourages anyone in these groups to apply for tuition assistance. DeltaV Code 102 through 401 will be held in Cedar Rapids. DeltaV Code 102 will be held on February 2 and 9, 2019, DeltaV Code 201 starts March 4, 2019, DeltaV Code 301 starts April 15, 2019, and DeltaV Code 401 starts May 20, 2019.